(Reuters) – Influential U.S. magazine Consumer Reports will not recommend Tesla Inc’s Model 3 sedan, saying on Monday it braked slower than a full-sized pickup truck, taking the shine off a day of gains for shares in Elon Musk’s electric car company. Musk had driven shares in Tesla as much as 4 percent higher with weekend tweets showing the Silicon Valley company was aiming initially to deliver higher-priced, more profitable fully-loaded editions of the Model 3. The car is seen as crucial to Tesla’s profitability at a time when it is battling to reverse production shortfalls, confronting reports of crashes involving its vehicles and facing increased skepticism over its finances. On Twitter, Musk said the fully-loaded Model 3, with all-wheel drive, a dual motor and a 310-mile (499-km) range – but excluding its vaunted Autopilot feature – would cost $78,000. The company has not yet begun to make the $35,000 base price version that Tesla originally claimed would make it a mass-market vehicle. Consumer Reports, however, declined to recommend the Model 3 and criticized it for having overly long stopping distances and a difficult-to-use center touchscreen. Tesla’s stopping distance of 152 feet (46 m) when braking at 60 miles per hour (100 km per hour) was “far worse” than any contemporary car tested by the magazine and about seven feet longer than the stopping distance of a Ford F-150 full-sized pickup, it said. Tesla said its own testing had found braking distances of 133 feet on average using the 18″ Michelin all season tire, and as low as 126 feet with all tires currently available. “Unlike other vehicles, Tesla is uniquely positioned to address more corner cases over time through over-the-air software updates, and it continually does so to improve factors such as stopping distance,” Tesla said. Research firm Berenberg also helped give Tesla shares a boost on Monday, after it raised its share price target to $500 from $470 on Friday. 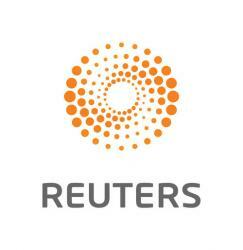 Its forecast, the highest among over two dozen analysts tracked by Thomson Reuters, is now more than $200 above the stock’s price, which has fallen $100 from September’s peak. Musk, whose refusal to answer analysts’ questions on a call this month also hurt company shares, said in his weekend tweets that Tesla had to focus first on delivering Model 3s that were priced higher than the base version, or it would “die”. “With production, 1st you need achieve target rate & then smooth out flow to achieve target cost. Shipping min cost Model 3 right away wd cause Tesla to lose money & die. Need 3 to 6 months after 5k/wk to ship $35k Tesla & live,” Musk tweeted. The new Model 3 version’s price was similar to the BMW M3, “but 15 percent quicker & with better handling,” Musk added, without giving details. 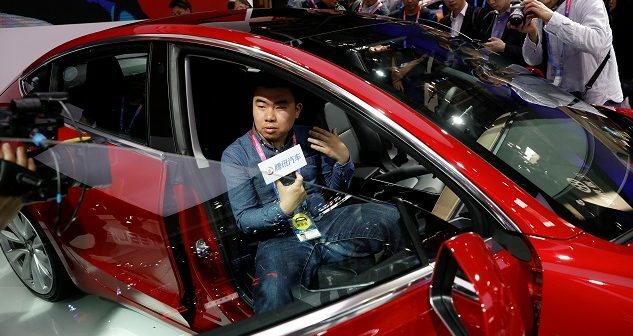 Also over the weekend, a Model S sedan crashed and killed the driver in the San Francisco Bay Area, one of a recent spate of crashes, some of which involved fire and some of which took place while the company’s semi-autonomous Autopilot technology was engaged. In the latest case, the car launched off a rural county road into a nearby pond more than 60 feet from the road, state and local law enforcement said. The car appeared to be going faster than the posted 35 mph limit, but authorities had not yet determined its speed and whether Autopilot was engaged, a California Highway Patrol spokesman said. Tesla said it did not yet know the facts and had not yet received data from the car, but was cooperating with local authorities. On Friday, proxy adviser Institutional Shareholder Services (ISS) backed a shareholder proposal to separate Musk’s current chairman and CEO roles, suggesting that shareholders would be better served by having Musk focus on running the company. Tesla shares closed up 2.8 percent to $284.49 on the Nasdaq.